Another week has gone by in the world of health news, which means it’s time for your weekly health news roundup. We have discussed many interesting topics over the past couple of days, and we have compiled a list of some of our best ones to get you all caught up. You will find information on blepharospasms, contraction of the eye, how to treat duodenitis, a condition characterized by inflammation in the small intestine, as well as some of the best essential oils for fibromyalgia and how to use them. We at Bel Marra take our health and well-being very seriously and wish you all a healthy and safe beginning of your new year. 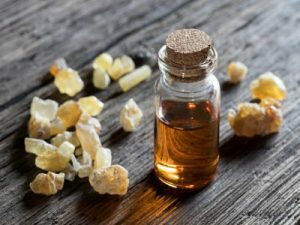 Essential oils have been used by many cultures around the world for centuries, and now we know that there are essential oils for fibromyalgia that can bring millions of people relief. Duodenitis is inflammation that occurs in the duodenum, which is the beginning of the small intestine. Duodenal inflammation can cause pain and other unpleasant gastrointestinal symptoms. Duodenitis treatment is similar to treatment for gastritis, but many people find that lifestyle adjustments, including natural remedies and diet, can go a long way in easing their duodenitis symptoms. Blepharospasm treatment can be a savior for those who suffer from blepharospasm, or BEB as it is often called. What is blepharospasm? It is a rare neurological disorder that is characterized by involuntary muscle spasms and contractions of muscles around the eyes.